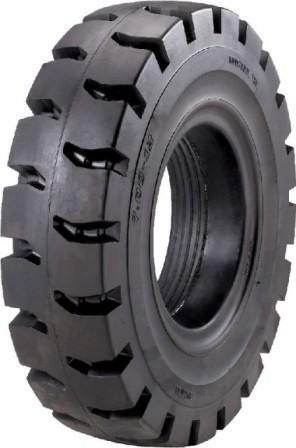 We stock virtually all tires for industrial applications. 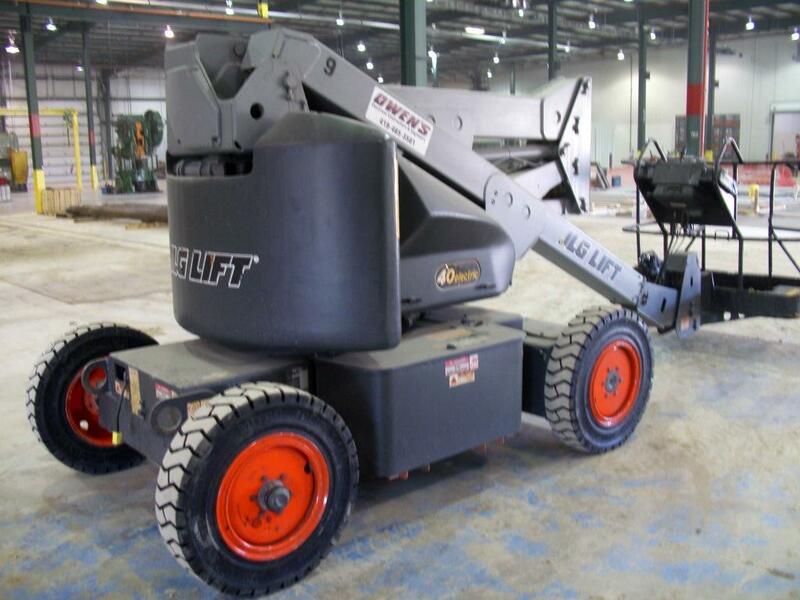 We carry Press Ons -commonly known as cushion tires, Pneumatics, Solid Pneumatics, and Polyurethanes for forklifts. 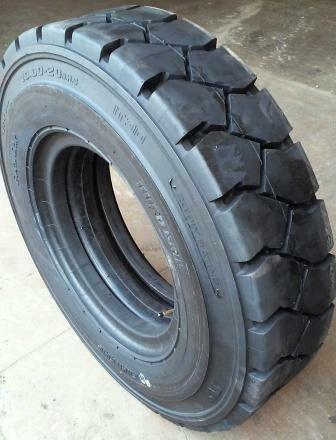 In the picture above you can see the wide variety of tires we typically stock. 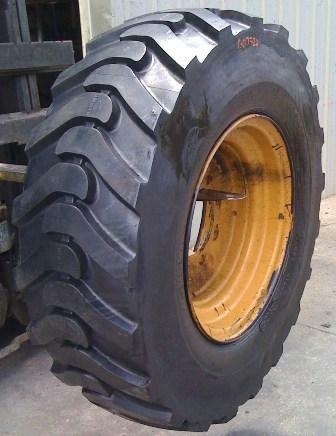 We also carry non-marking tires, and large OTR tires. 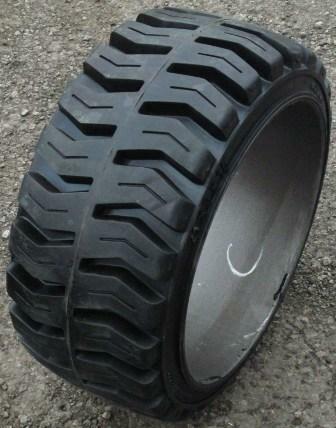 Any tires that are not in stock, can be ordered, please call to find out what is available. 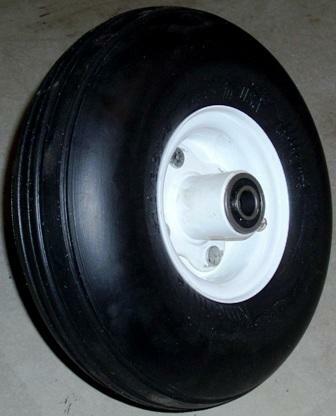 Have a worn out tire? 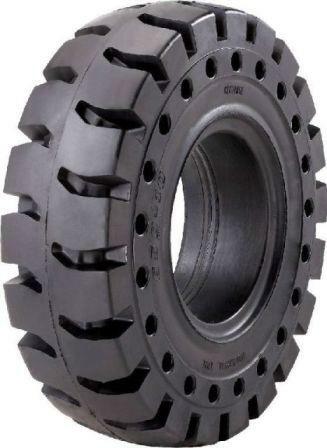 Ewald is the place to call! 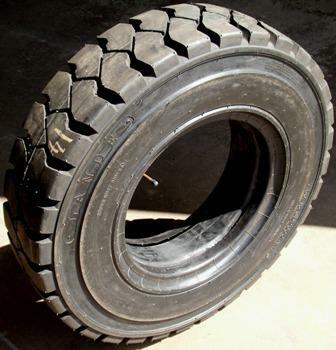 We offer retreading on worn out tires. 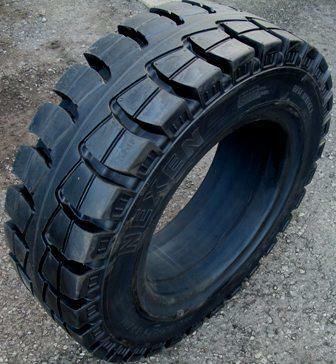 Don't waste your time and energy trying to run a machine that is slipping around without any grip, we can put new tread on your tires and bring them back to life! 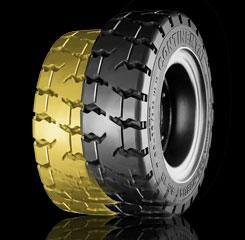 Retreading your tires can save up to 40% compared to purchasing new. 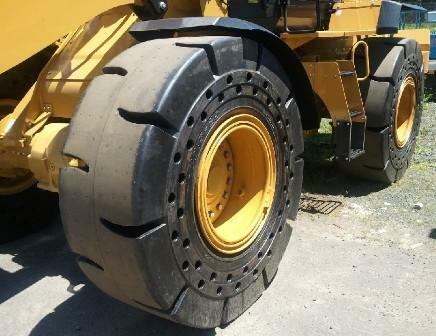 Worn out Tires are not only dangerous, they may attract OHSA'S attention! 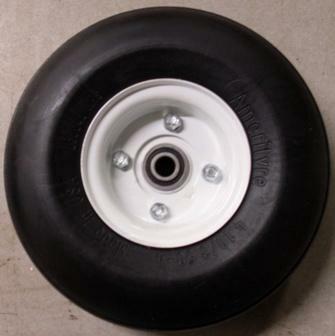 Convert your man lift tires to solids today. 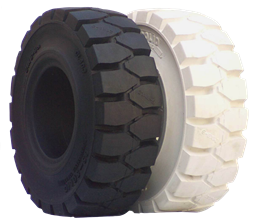 Using solids enhances tire life. 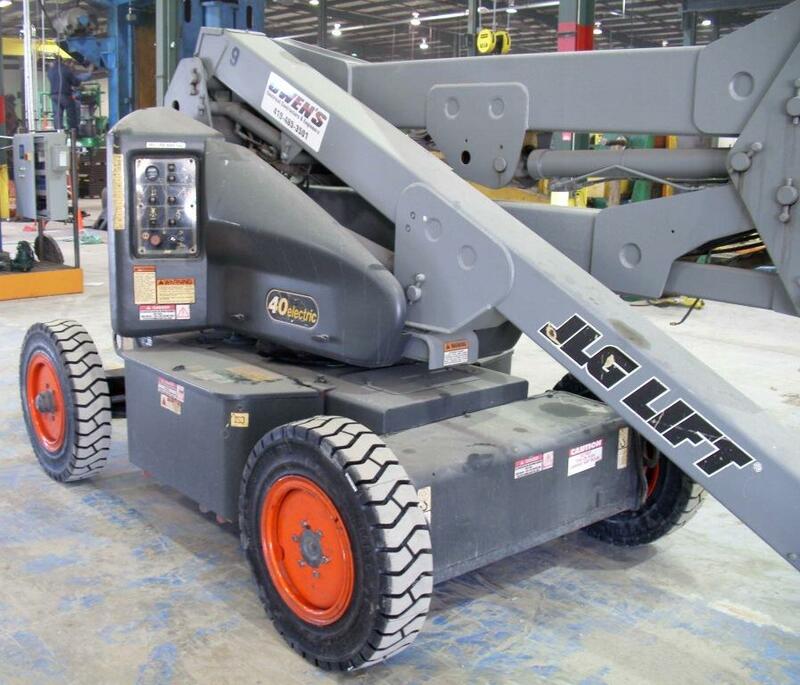 JLG Manlift with Mitco Solid Solver Tires.